A gorgeous gold metallic family tree framed print. 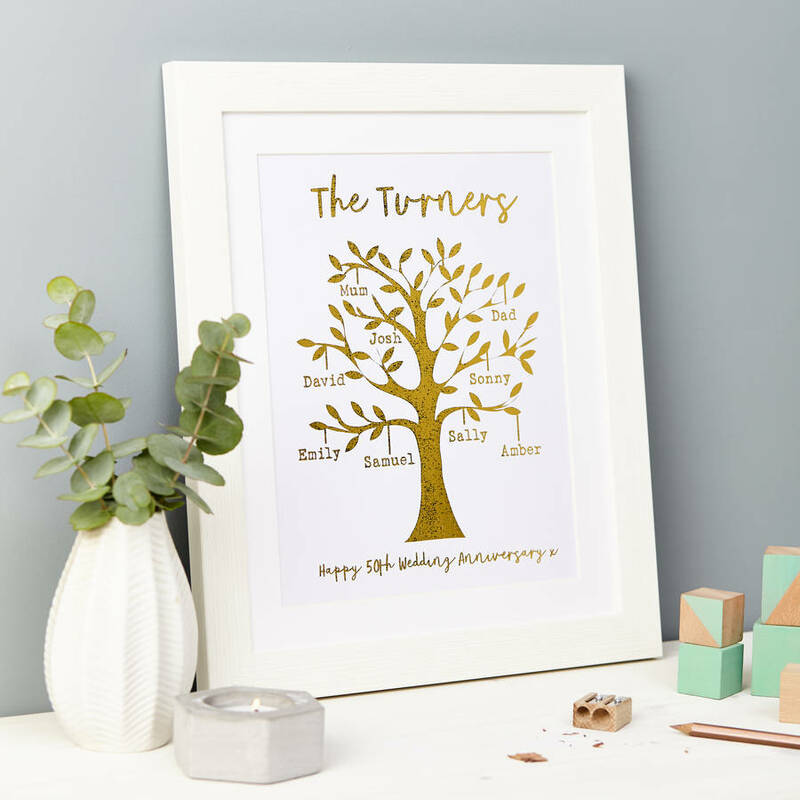 This personalised Gold metallic family tree framed print is a stylish addition to any family home. Personalised with all of your family's names, surname and special message. Will make a great anniversary or birthday gift for any family member. We can fit 20 names on the print and we will display your chosen names on the tree, either to the left or right, please enter your names in the drop down menu in order from top to bottom. If there is a specific layout you would like simply attach a message using the contact seller tab in your orders section after checkout to confirm the names and positions. Textured Metallic gold foil print with white wash frame. 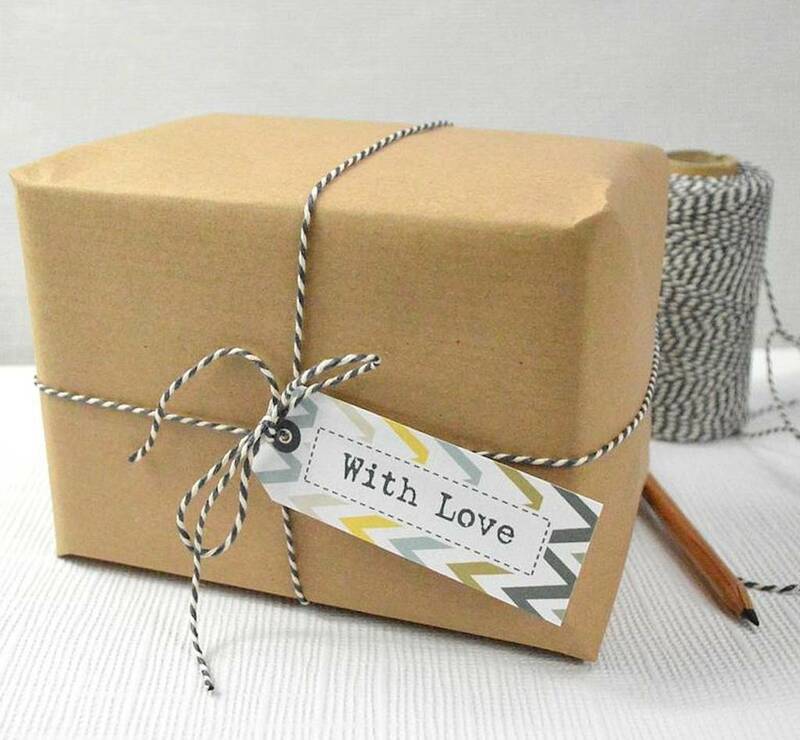 We also offer a gift wrapping service and use the highest quality brown kraft paper with coloured bakers twine and "with love" patterned gift tag, to make your gift that extra special. Frame Size: W28cm x L34cm x D2cm.